I’m A Celebrity… Get Me Out Of Here! 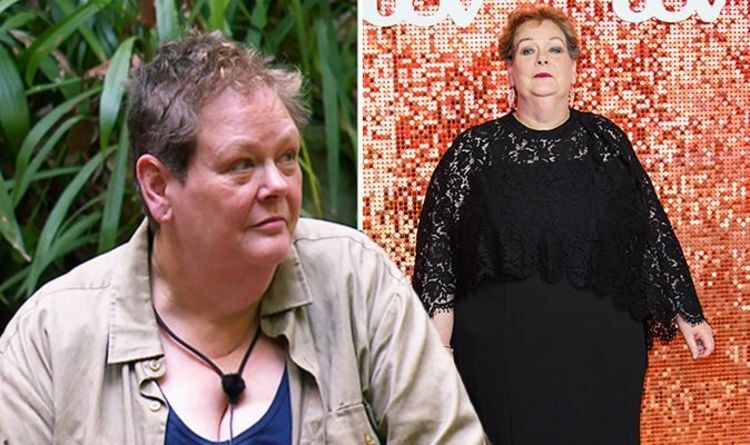 2018 contestant Anne Hegerty, 60, was speaking to the Inbetweeners actress, 28, about life before The Chase, admitting she felt like “a dead beat” before getting a job on the ITV quiz show. Speaking to Emily, the latter asked her if she was close to her brother as a kid. The Governess replied: “We were not actually, I was a bossy big sister. “We kind of got closer… I think he is really impressed with me being on The Chase. “Oh God, most of my life yes”, Anne replied adding: “Rather a failure”. Last week, Anne also spilled secrets about the ITV quiz show, revealing what the Chasers get up to prior to the game. Meanwhile, fans have grew concerned about Anne and her camp mates after viewers spotted the increase in bites on their skin. One Twitter user wrote: “Poor Anne looks like she’s covered in bites”. Another added: “I honestly hope they get cream for their bites. I’m A Celebrity 2018 continues tomorrow night on ITV at 9pm.